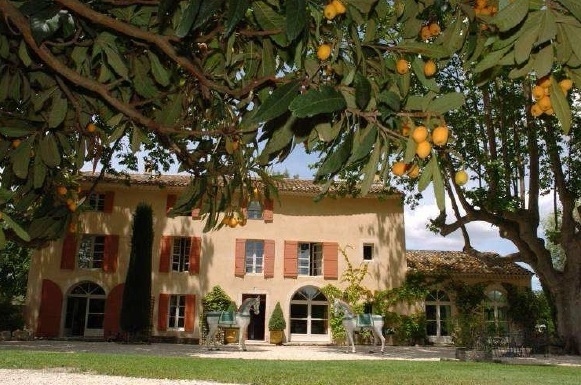 Magnificent Bastide from the XIX century, in the heart of the ‘Pays des Sorgues’, situated in a quiet and idyllic environment, 35 mn from Avignon and its TGV station, 5 min from a tourist and famous village with any conveniences. This comfortable old house about 600m2 of living space benefited a high renovation on three levels, nice rooms of reception opening on a park raised in the hundred year – old plane trees and Mediterranean shrubs. 7 bedrooms with all the comfort complete the set. Outbuildings: 6 garages and workshop. Grounds about 6 ha decorated with a swimming pool with its summer-kitchen and with a small studio of 25m2 in the middle of its park with fountain. The rest of the property is completed by two quarries and enclosure. Water from the ‘canal’ and city water. Contract us for more details.